Interpreted from a simple pencil post bed from Hickory Chair's archives, the Artisan Poster Bed is crafted in your choice of ash or mahogany. 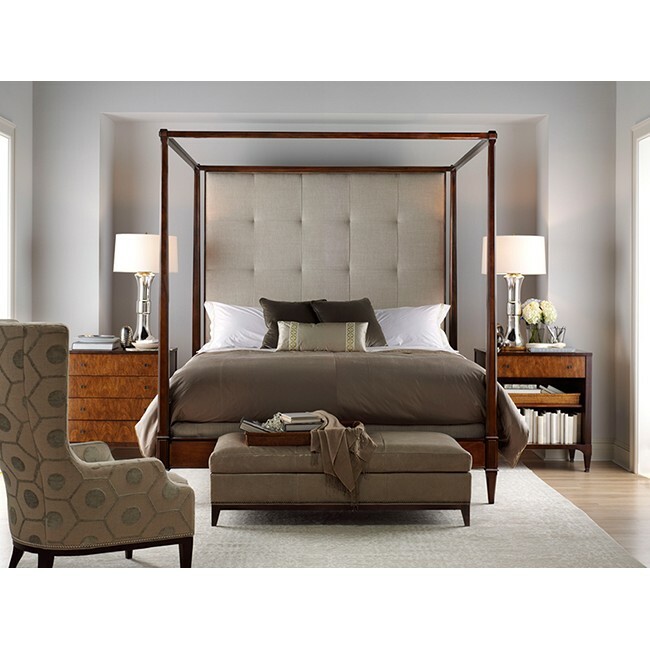 The headboard is available tall or low in a choice of upholstery or wood. In wood, both the ash and mahogany renditions feature quartered veneers in a herringbone pattern. 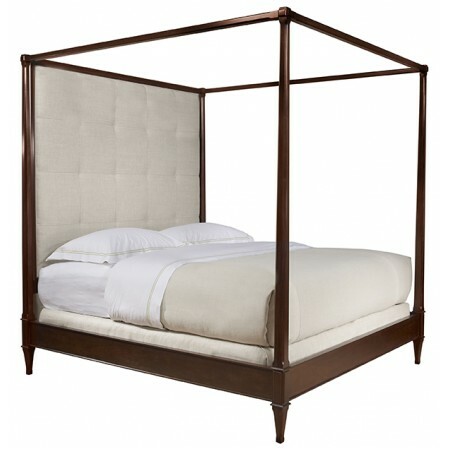 The upholstered ash and mahogany beds feature a choice of flat or biscuit -stitched headboards in tall or low heights.